Note: Remember that this mechanic is not custom, We have been doing a lot of research to bring back to life discarded / unused mechanics from early days of the game. In one of my many travels, I noticed that we weren't punishing our players for committing dishonorable kills. This will change now, we have decided to visually punish them! Have fun and be evil! Ranks aren't affecting anything game-wise? 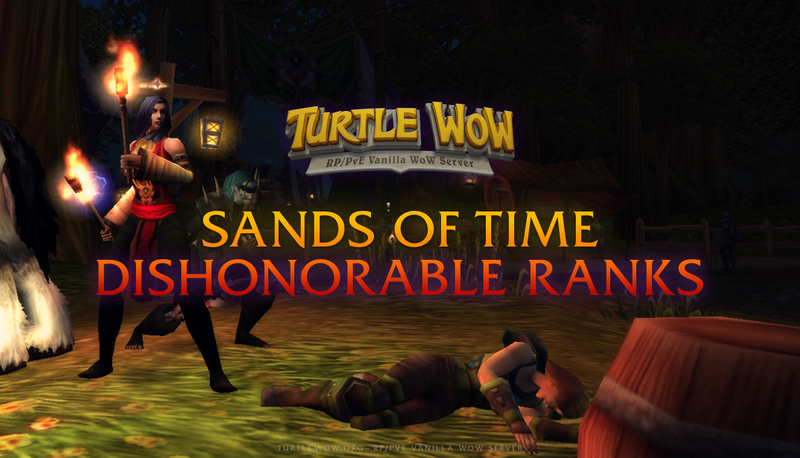 Well, killing civilians and low level players have always lowered your honor standing. yea... that's common knowledge. That's the way to get these ranks anyway. We'll need more civilians in lower level zones!! Great update by the way, thanks.